Doing work for state agencies is different than doing work for private enterprises. The first hurdle is getting past the bureaucracy and red tape. But USTAR made it surprisingly easy. 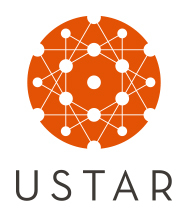 USTAR, the Utah Science and Technology Research initiative is a technology-based development initiative funded by the State of Utah. We took the state agency through our Perception Branding d5 process and created a new identity and tagline that pleased everyone from the chairman of the board on down.